Should you try Evening Primrose Oil for Menopause? 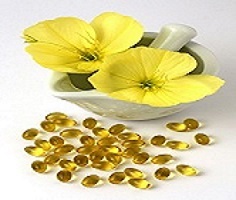 Evening Primrose Oil is a plant oil extracted from the seeds of the Oenothera biennis or the Evening Primrose plant. It is rich in Omega 6 fatty acids called gamma linoleic acid or GLA. Gamme Linoleic Acid cannot be produced by our body and needs to come from an external source only. The GLAs help in hormonal regulation in the body. Let’s see how they do it and how to use Evening Primrose Oil for menopause. Menopausal women suffer from a drop in their estrogen levels. This translates into a number of reactions the extent of which is different for different women. It is characterized by mood swings, headaches, vaginal atrophy, depression, anxiety, palpitations, hot flashes and a general drop in energy levels. When gamma linoleic acids are metabolized by the enzymes in the body, they are converted into “prostaglandins”. Prostaglandins perform a variety of functions in the human body. They are responsible for the relaxation and contraction of the smooth muscles in the body. More than this, they also regulate the hormone levels in the body by mimicking the hormones in the body. With increased prostaglandins in the body, your hormonal levels are back to normal. The moment your hormonal levels swing back to normal, all the symptoms associated with menopause slowly vanish away. Does Evening Primrose Oil for Menopause work? There have been a lot of studies conducted on menopausal women to find out whether Evening Primrose Oil actually reduces the symptoms of menopause. Some have reported that it helps cure hot flushes, some saying it addresses the mood swings. While these positive published reports are few and far between, women still continue to use Evening Primrose Oil and claim on many forums that it has worked wonders on their menopausal symptoms. This has lead to many doctors claiming that Evening Primrose Oil works just like a placebo or a dummy pill and it is all in their head to think it helped them. 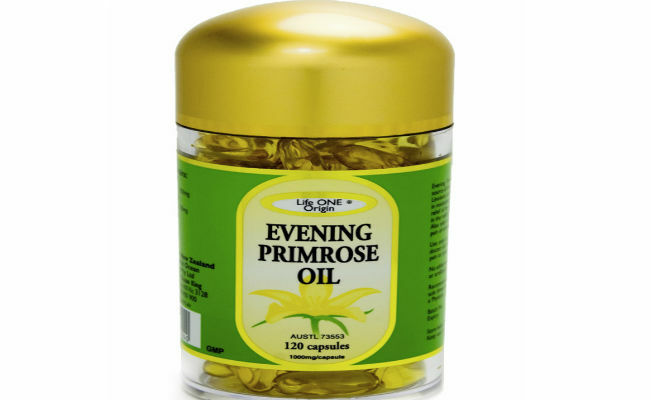 However, since a lot of women swear by their daily dose of Evening Primrose Oils working wonders for them, there is no harm in giving it a go. The evening primrose oil is can be purchased from your drugstore. They are available in the form of cost effective capsules. You can also buy the oil proper and use it both for consumption and for massaging purpose, since it is anti-inflammatory and gives relief from joint aches and pains. Restrict the usage of the 500mg evening primrose oil capsules to 4 capsules a day. In effect, through the day, you are getting 2000 mg of evening primrose oil into your system. Space it out such that you consume it after food – that way it is absorbed better by the body. Evening Primrose Oil is after all like any other oil with a host of health benefits. Just run it through your primary care provider to ensure that it is alright for you to take the supplements. While the “miraculous benefits” of Evening Primrose Oil for menopause have not been proven, you never know, you might be one of the scores of women for whom it works!